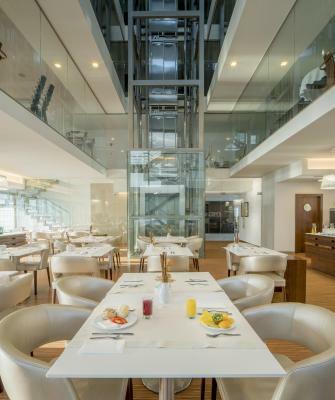 Lock in a great price for Hotel Dona Ines Coimbra – rated 8.5 by recent guests! 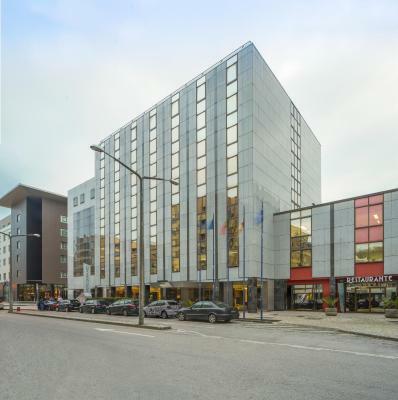 Hotel location is in walking distance to city center and university (around 15 min). Clean rom and good breakfast. 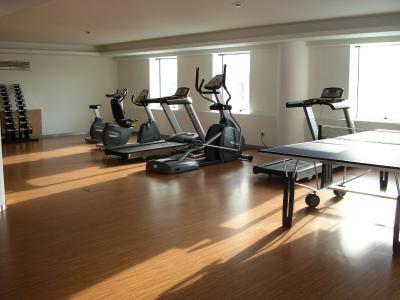 Attractive hotel with comfortable large room, nice bathroom and own parking garage. 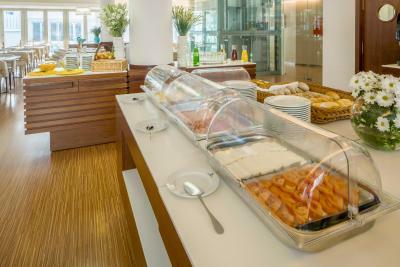 Buffet breakfast with variety of nicely presented hot and cold options was included in room price. Easy 10 minute safe walk to historic center. Friendly, knowledgeable staff. Very easy to access hotel from the highway. We love the breakfast!!! The location is also perfect as it is close to the bus (walking distance) and train station (5 mins by taxi). It was very easy to get a taxi and get to the train station which is very convenient if you have a midnight train to catch. McDonald's is only a few minutes walk away (beside the bus station). 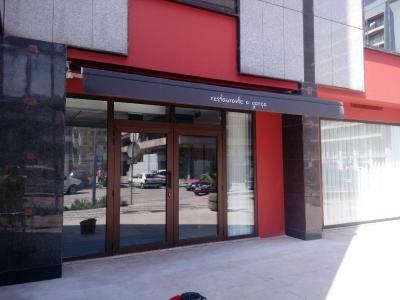 There's also a restaurant in the hotel and there are other restaurants just across the street. The old town is a bit far from the hotel but still within walking distance - atleast for us who love to walk. The beds are comfortable, the bathroom is huge. The lady receptionist (tall with boyish short hair) is very friendly and accommodating. The lounge areas and rooms are very cozy and well designed. Great breakfast and friendly staff. Everything was great. Underground parking was nice. Breakfast was very good. Very good place to stay with an excellent breakfast. Free parking, Good and clean room, with TV, frigobar, nice bed. Quite location. 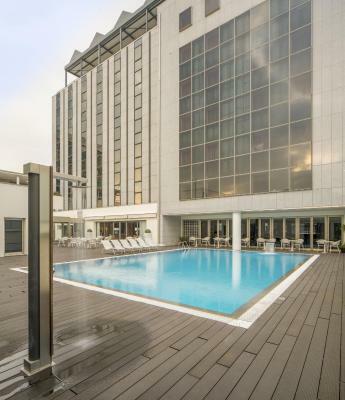 A modern hotel with a pool. Good location and private underground parking. Good 3 star hotel. Personnel at hotel reception very helpful and efficient. Bed extra comfy and loved the two types of pillows. Shower had great water pressure and LOVED the scent of the soaps. 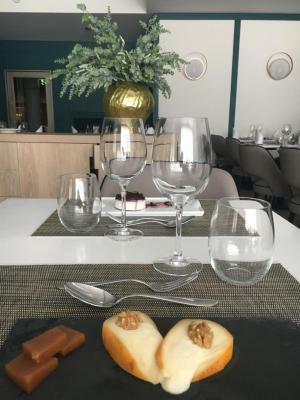 Hotel Dona Ines Coimbra This rating is a reflection of how the property compares to the industry standard when it comes to price, facilities and services available. It's based on a self-evaluation by the property. Use this rating to help choose your stay! 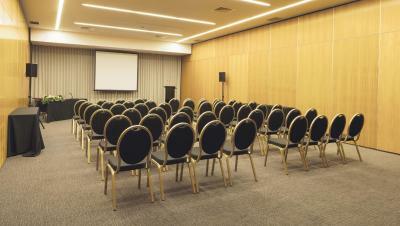 Hotel Dona Inês Coimbra is located within a 10-minute walk of the Coimbra center and Coimbra Train Station. 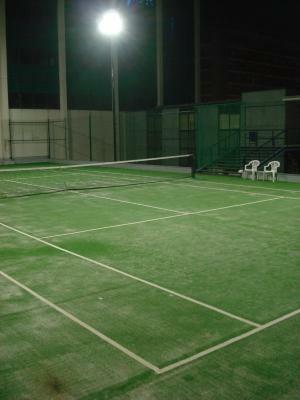 It features a business center, tennis court, outdoor pool and car rental facilities. Free Wi-Fi is available in all public areas. 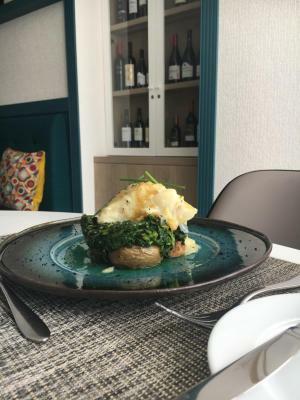 The modern rooms at the Hotel Dona Inês are all equipped with air conditioning, a flat-screen satellite TV, a desk, a radio, a mini-bar and a safety deposit box. Each has a private bathroom with a hairdryer. 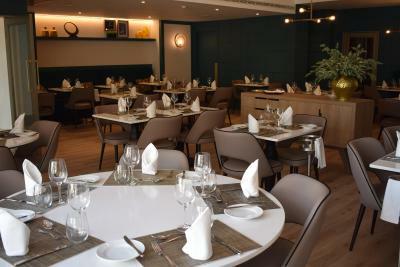 Guests can relax in the modern Ego Lounge Bar. 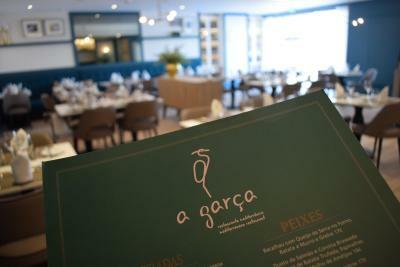 A Garça restaurant serves regional Portuguese food and international cuisine. 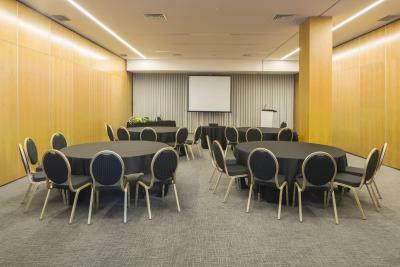 Hotel Dona Inês is conveniently located less than 20 minutes' walk from the Old Cathedral of Coimbra, the Machado de Castro National Museum and the famed UNESCO World Heritage Coimbra University. The bus station is a 2-minute walk away. 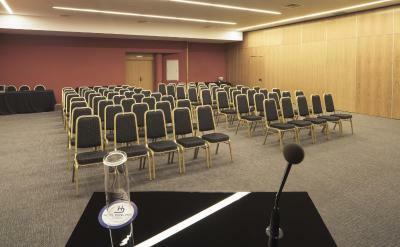 When would you like to stay at Hotel Dona Ines Coimbra? Spacious, air-conditioned double or twin room with a mini bar and a safety deposit box. The room has a private bathroom, flat-screen satellite TV and a desk. 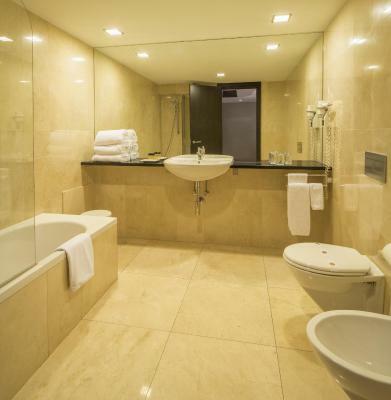 With 3 single beds and a private bathroom, this spacious room comes with air conditioning, a mini bar and safe. This ample and comfortable suite has a modern décor. The unit has a seating area, safety deposit box, mini bar, flat-screen satellite TV and a private bathroom. 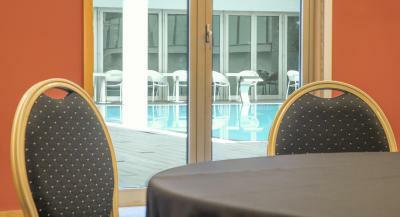 This room comes with a view of the outdoor pool and the Mondego River. The unit has either a double bed or 2 single beds and includes a private bathroom, as well as a flat-screen satellite TV. This spacious air-conditioned room can accommodate 4 or 6 people, including children. 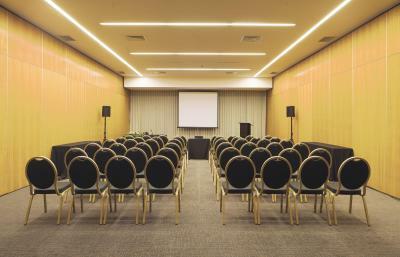 It features a large room, 2 connected rooms or 2 adjoining rooms. It includes a safety deposit box and a mini-bar. 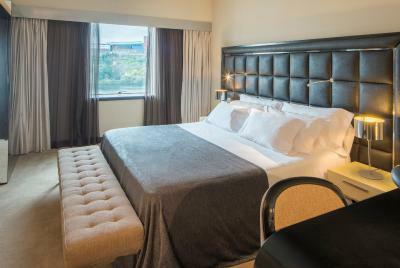 This ampler double room comes with a modern décor and is located in the VIP area of the property. Featuring air conditioning and a flat-screen satellite TV, it also comes with a private bathroom. With a modern décor, the junior suites include a seating area and a flat-screen satellite TV. All come with a private bathroom and air conditioning. 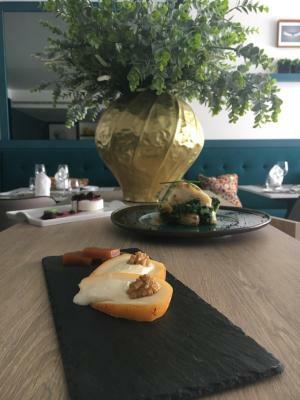 The proprety is located in the city and the commercial heart of Coimbra, beside the River Mondego and 200 meters from the famous Choupal. Parking its available (upon availability). 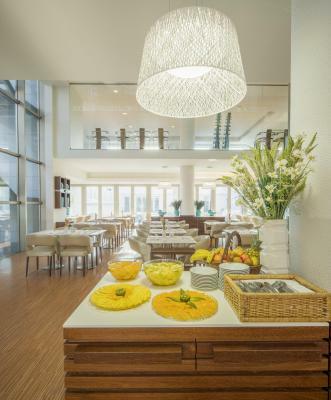 House Rules Hotel Dona Ines Coimbra takes special requests – add in the next step! Debit card Hotel Dona Ines Coimbra accepts these cards and reserves the right to temporarily hold an amount prior to arrival. Hotel Dona Ines Coimbra accepts these cards and reserves the right to temporarily hold an amount prior to arrival. Breakfast is good. Dinner at hotel restaurant is bad. Rooms show traces of tear and wear. Property urgently needs a re-do. Breakfast is mediocre. Car park is public, thus limited space. Don't drive with a medium sized car (and up). Historic centre is within walking distance. Everything was decent. There was not much to dislike but it did not exceed our expectations. The outdoor pool was sadly not heated so we could not use it. Breakfast was quite nice. 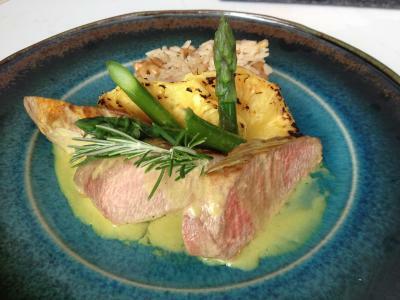 The service was fast and responsive in general. Pequeno almoço normal mas suficiente. Staff atencioso. Not much to not like. The bed is quite comfortable. Breakfast is excellent. All staff are very nice. Hotel located in a quiet area, but not far away from the old town, around 15 minutes walk to get there. I parked in front of the main gate for free, but need to pay if park underground, 7 eruo per day I was told. Room heating system is great. It's a wonderful stay! I am not sure if the exhaust fan of the bathroom is not working but I didn't really like it. Do something about it. The room is a bit too gloomy. I like bright rooms. No bathrobes, carpets (nor slippers). No electric kettle to make tea or coffee. Not available laundry service during weekends and hollidays. 10-15 min walking to the center. Comfortable beds, quite area, frendly staff with good suggestions where to eat dinner. Enough TV channels for kids.